If we own a cloud server with a medium or high specification, we can host multiple websites in it with different domain names. If we need to host a web app backend on any cloud server, it does require an HTTP web server. The most popular HTTP servers available are Apache and NGINX. Here we are working with Apache2. 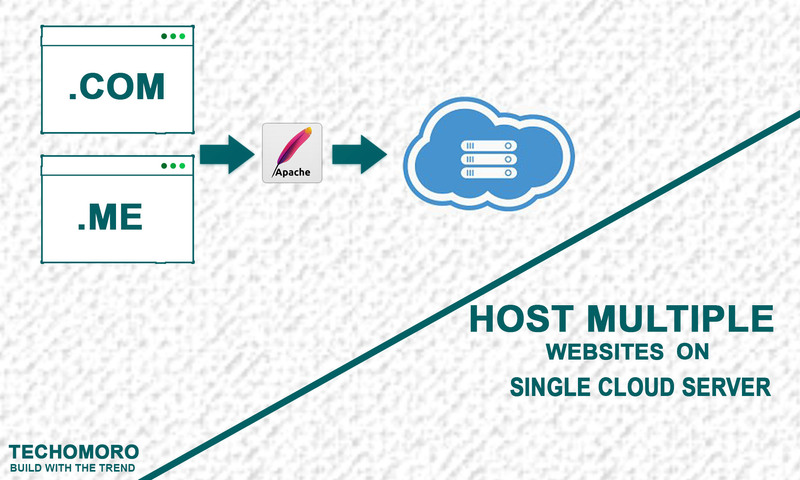 We are going to host two websites in the same cloud server with apache. First of all, we are going to create two directories MyFirstWebsite and MySecondWebsite inside /var/www/html (default root folder of the web server). Now create an index.html file inside both directories we created earlier and add the below code inside the file. Note: Consider these two web pages as two different websites we own. Now we need to create apache configuration files for each webpage we created. So direct to the sites-available directory inside apache2 and create a file named MyFirstWebsite.conf. Now add the below code in it. Also, create a file named MySecondWebsite.conf. Now we have to enable these configurations using the below commands. After that, restart our apache server. Now our server configurations are set.